Founder and CEO of futurethink. Imagine what you could do with the time you spend sitting in meetings and writing emails every day. Complexity is killing companies' ability to innovate and adapt, and simplicity is fast becoming the competitive advantage of our time. 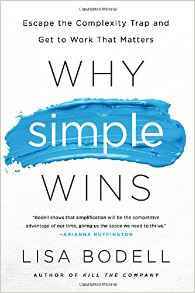 Drawing on her work with global organizations and themes from her latest book, Why Simple Wins, Bodell inspires leaders and their teams to proactively move beyond the feelings of frustration and futility that come with so much unproductive work in today’s corporate world. 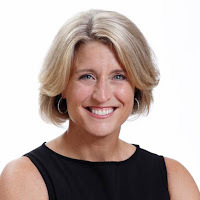 Lisa Bodell shares tools and takeaways on how organizations and individuals can eradicate complexity, and allow Simplicity to be their new operating system and North Star towards an innovative workplace culture. Winning innovators embrace change – do you? What holds you back from better innovating, every day? 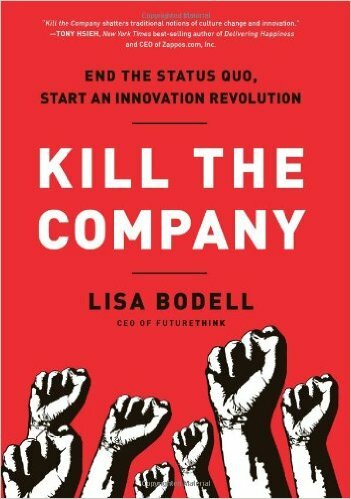 Founder & CEO of innovation firm futurethink Lisa Bodell is the bestselling author of Kill the Company, and her latest Why Simple Wins. A leader on simplifying innovation and change management, Lisa is often called upon by global companies to help them eradicate workplace complexity that is killing their ability to innovate and adapt. Simplicity is fast becoming the competitive advantage of our time and Lisa offers tested tools and takeaways to motivate organizations and individuals to action. A Dynamic Keynote Speaker, Lisa has addressed capacity audiences at Google, Cisco Systems, Accenture, Citigroup, and Merck and is often the highest-rated presenter, as she engages audiences and empowers them with practical tools, tips, and resources that they can use to create immediate and effective change. Praise for Lisa includes: “insightful, engaging and energetic” (Google); “relevant and compelling” (Accenture); “ignited a spirit of innovation” (Mastercard Worldwide); “winning business ideas” (Citigroup). Let Lisa show you how simplicity can be your new operating system and North Star towards creating an innovative workplace culture.